Notes: Reprint of the 1920 publication by the Minnesota Historical Society. No writing or marks found in text. A couple light stray ball point pen marks on bottom of closed page edges. Cover is glossy with very light wear to surface and corner tips. Binding is tight and square with a couple very faint creases. 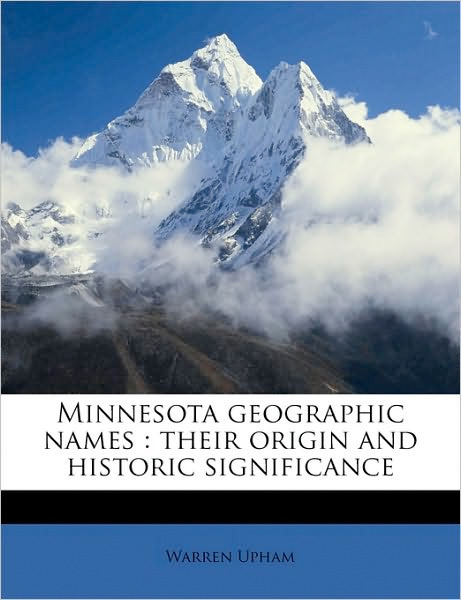 Excellent resource on early Minnesota history. Stock photo illustrates the cover art of the copy we are offering for sale.